This map displays territory of Kazakhstan. map of Birlestik calibrated presented. interesting map of Vostochnoye with gps calibration for Garmin. detailed map of Sholakozek calibrated download for free. topographic map of Shokkaragay with gps calibration for you. topographic map of Lavrovka with gps calibration presented. 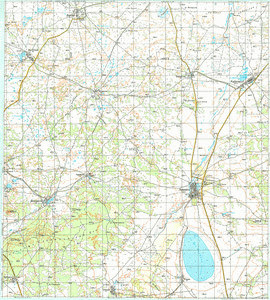 free map of Karasevka и OziExplorer calibration download for free. free map of Daukara for gps. interesting map of Sarybulak calibrated free download. topographic map of Kruglovka 1 cm to 1 km for gps. map of Galitsyno и OziExplorer calibration displayed. free map of Kenashchy и OziExplorer calibration free download.